Easily Check your balance. See ticket, invoice and statement Copies. Pay your bill. Looking for our sister company APAC Kansas City? Please follow the link below. 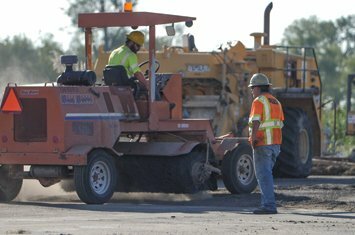 We specialize in asphalt paving, utility services, and other construction services. Contact us today for more information on how we can help with your next project! Construction safety is an integral part of our culture at APAC. We don’t start or finish a job without proper safety measures in place for our workers and the public around us. 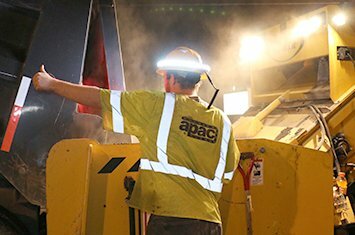 APAC Shears has been Building the Heartland from the Ground Up for over a century. 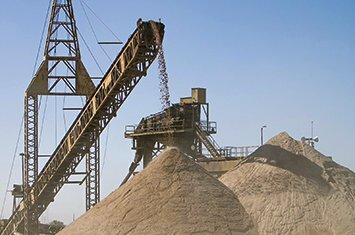 From the supply of aggregate materials, hot mix asphalt, and concrete to the construction of roads and bridges, we do it all. We offer a wide variety of services, products, and materials to serve your building needs. Our customers include contractors, businesses, municipalities, government agencies, and homeowners across Kansas. Aggregates are essential to the building of our cities and towns as well as the highways that connect them. In fact, all construction projects begin with aggregates. By incorporating recycled asphalt and shingles in our mixes along with the use of warm mix technology, we continue to lead the industry in sustainable paving solutions. Our ready-mix concrete is strong, versatile, and customizable, making it one of the most popular building materials around. Custom created mixes that will be perfect for your job!